Like the fictional cinema characters Zelig and Forrest Gump, who seemed to be present at every major event in 20th Century history, Quincy Jones comes closest to achieving this in reality. But not just as a presence: Quincy Jones is a participant. This legendary American record producer, conductor, arranger, composer, television and film producer, record company executive, magazine founder, trumpeter, author and humanitarian has played a key role in the development of modern music, across more genres and media than any other musical icon, for more than 60 years. It would be achievement enough for any individual to have earned prominence in that many roles in a single musical genre. Not so Quincy Jones, whose eclecticism has been expressed in pop, rock, soul, funk, hip-hop, jazz, classical and ethnic genres including African and Brazilian music, resulting in hybrids of his own creation. His sheer mastery of musical forms has been demonstrated within clearly-defined, seemingly restrictive disciplines, through his award-winning scores and soundtracks for both cinema and television – breaking down barriers for both. Quincy Jones’ artistry has been applied to virtually every medium, including records, live performance, movies and television, and print publishing. It is a career that encapsulates all facets of popular music from the post-WWII/post-swing era to the current high-technology, international multi-media hybrids. Ultimately, producing would provide his greatest mainstream success: his work with Michael Jackson. Jones produced Jackson’s breakout solo album, Off the Wall, in 1979. Three years later, they joined forces again for Thriller, which went on to become the biggest-selling album of all time with over 50 million copies sold, followed by 1987’s Bad. Quincy Jones’ role in Jackson’s ascent to superstardom is impossible to overstate. During the 1980s, Jones moved from scoring films to producing them, starting with the screen adaptation of Alice Walker’s novel The Color Purple, directed by Steven Spielberg, introducing the world to Oprah Winfrey and Whoopi Goldberg, and garnering 11 Academy Award nominations including Best Picture. Television production was added to his arsenal of talents in 1991, with the hugely-successful situation comedy The Fresh Prince of Bel-Air, notable for launching the acting career of Will Smith. Honors have been bestowed upon Quincy Jones in a quantity bordering on the innumerable. Quincy Jones is the all-time most nominated Grammy artist, with a total of 79 Grammy nominations, and is the recipient of the Grammy Living Legend Award and N.A.R.A.S.’ prestigious Trustees’ Award, to keep his 27 Grammy awards company. He is a seven-time Academy Award nominee and at the 1995 Academy Awards he received the Academy of Motion Picture Arts and Sciences’ Jean Hersholt Humanitarian Award. He won an Emmy Award for his score of the opening episode of the landmark TV miniseries, Roots. Significantly, In 1990, France recognized Quincy with its most distinguished title, the Commandeur de la Legion d’ Honneur, as well as receiving the French Ministry of Culture’s Distinguished Arts and Letters Award. He is the recipient of the Royal Swedish Academy of Music’s coveted Polar Music Prize, and the Republic of Italy’s Rudolph Valentino Award. 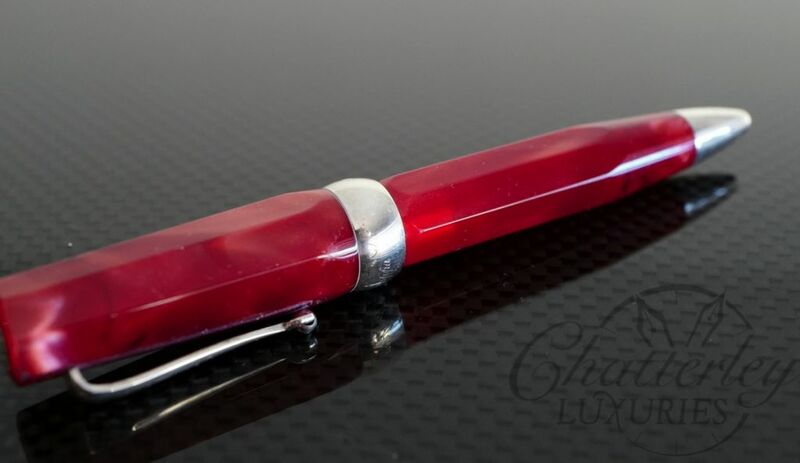 As jazzy in appearance as the subject requires, the Quincy Jones pen features his personal logo in the top of the cap, an engraved, color-enhanced “Q”. 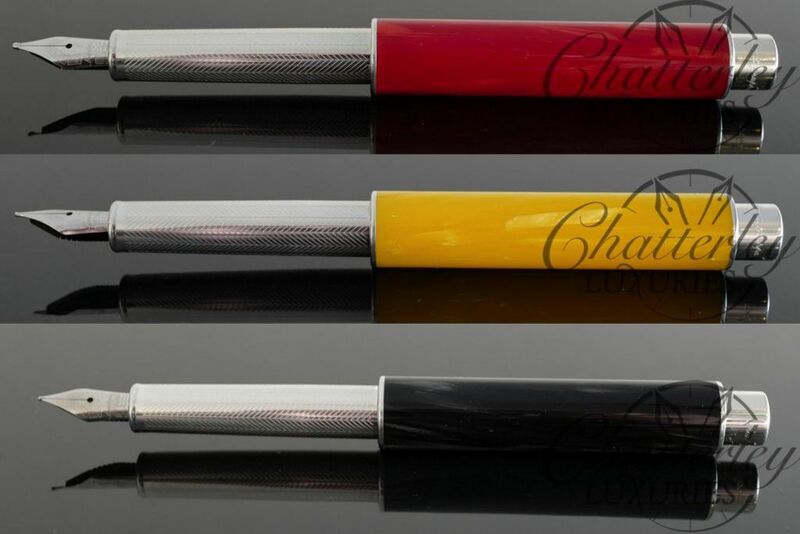 The textured barrel in black carbon is accented in the middle and at both ends with bold, multi-coloured resin rings in a marble pattern. 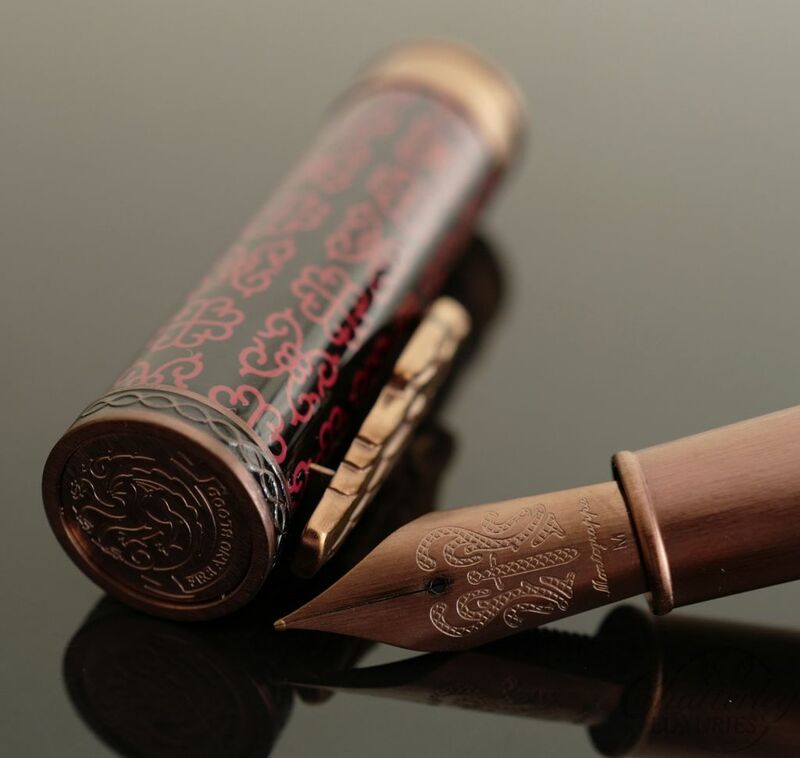 The sleek, modernist, arched pocket clip is made of brass, terminated in Montegrappa’s rolling-ball end-piece to facilitate easy pocket ingress and egress. In keeping with the wholly musical theme, the end of the barrel is finished with a sculpted loudspeaker cone. 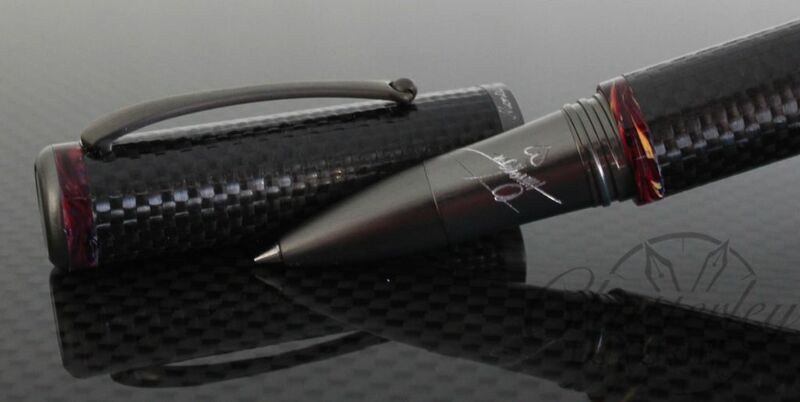 For the rollerball and marker versions, Quincy Jones’ signature is engraved at the finger grip, while the solid 18K gold nib carries his signature on the fountain pen. 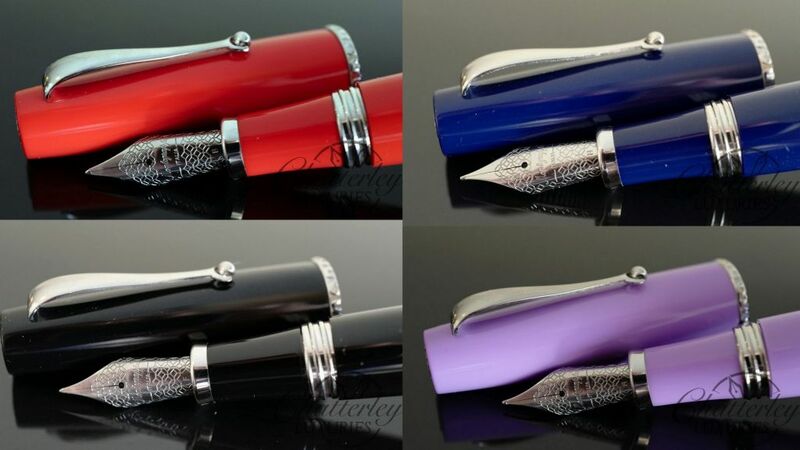 Montegrappa will produce a limited edition of 1933 fountain pens in carbon fiber, 1933 rollerball pens in carbon fibre and 1933 markers in carbon fibre, as well as and 1933 fountain pens in multi-colored resin, 1933 rollerball pens in multi-colored resin and 1933 markers in multi-colored resin.